A DIY eurorack module! 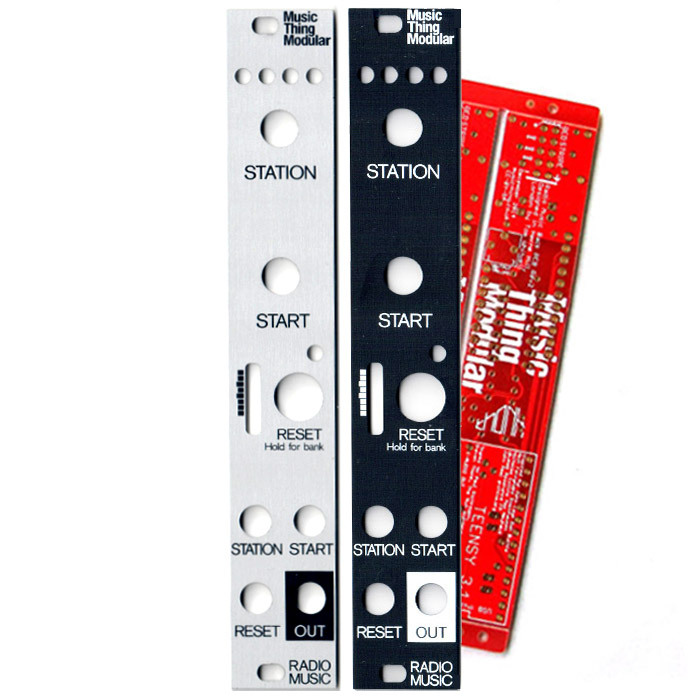 This complete and easy-to-build DIY kit is one of the cheapest ways to get a voltage controlled oscillator in your modular and sounds completely different than all other oscillators! It can do minimalistic clicks and plops, screaming leads, fat basslines, weird noises or chiptunes. The sound is a PWM output routed via an (optional) low-pass filter and a 100uF capacitor – so no external DAC is required. The low-pass filter on the PCB can be bypassed if you want. Bypassing the filter provides more clarity and a slightly louder output but more artifacts in the sound. Here comes more information about the synthesis technique on the basic code and you will understand why I called this module “Grains”. 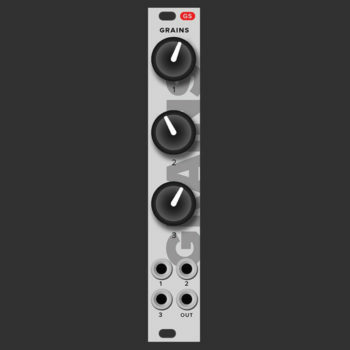 The “Grains” code provided on your module is based on FOF synthesis or formant synthesis. FOF synthesis is closely related to synchronous granular synthesis. It uses two simple triangle-shaped grains. The grains are separated by the same amount of time. 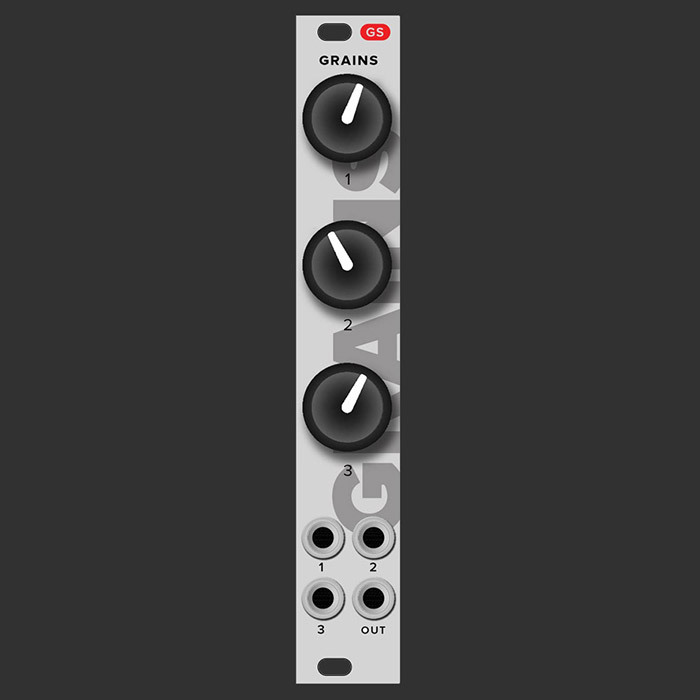 With granular synthesis, the spacing within the grains radically change the texture that is created. The FOF grains have very little parameters: pitch and decay. In the basic “Grains” code the 2 decay values are fixed to most musical sounding and can not be altered via potentiometers. So only the pitch of the two grains can be altered via pots (or the cv inputs) and the overall grains repetition which provides the pitch of the output. PCB version 2 is shipped from 25-06-2015. There has been a change in the way cv input 3 is processed. All earlier codes can be changed to work with V2 and backwards, look for the analogRead (0) in the code and add an extra input for analogRead (3). You can play around with the way they influence each other. For people who want to dive deeper in coding and want to write a lookup table for 1V/oct tracking, here is how: code doc.